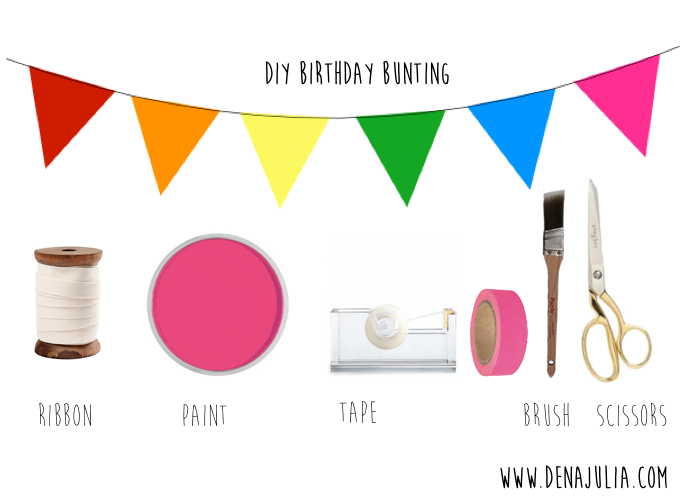 Looking for a chic birthday decor? Try this hand painted flag banner and numbers. It's super easy, only 3 steps, and looks freaking adorable. 1. Slice the paper into small rectangles. Then, slice along the diagonals to form your triangles. 2. FOR ALTERNATING FLAGS: Paint half the triangles. Leave the other half white. FOR NAME BANNER: Paint the message on the flags, flipping over every other letter so the flat ends of the triangle line up flush. 3. FOR ALTERNATING FLAGS: Arrange the triangles how you want them, attach the pretty duct tape then fold over to make a lining. Don't forget to put some ribbon at the ends for hanging! Just place one edge of the ribbon onto the end of the tape and it will be sealed in tight when you fold it! FOR NAME BANNER: Line up the triangles face-down and stretch your ribbon across the top. Place clear tape on the back of each triangle to attach the ribbon. 3. Spray with 3-4 coats of paint, letting them dry for 15 minutes between coats. Make sure to do this outdoors! !